We have some advice for the novice or seasoned stand up paddler! One -- before paddling out, always asses the conditions and know your limits. Two -- the bigger the surf, the stronger the current is going to be. 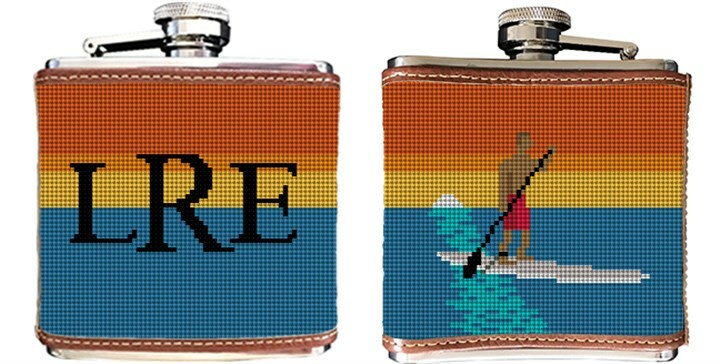 Three -- don't forget to bring your Stand Up Paddling needlepoint flask (that your mother stitched for you) to the lake or beach. A great canvas to stitch, and later to be turned into a unique flask. Be sure to include a monogram for further customization.